Started studying flute at the age 14. Studied with Gary Sigurdson at Interlochen Arts Academy, graduated in 1967. Studied with Robert Willoughby at Oberlin College Conservatory of Music, graduated in 1972. Studied with James Pellerite at Indiana University School of Music, graduated in 1977. Joined Vancouver Symphony Orchestra as Assistant Principal Flute, Third Flute, and Piccolo, 1977. 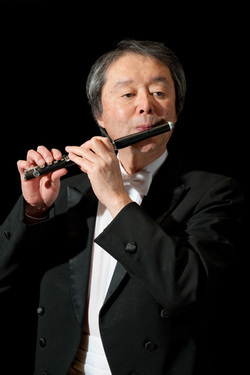 Appointed Principal Flute of CBC Chamber Orchestra of Vancouver, 1980. Joined Philadelphia Orchestra as Piccolo, 1981, retired 2016. Interested also in other aspects of music creation: composition, arranging, music copying, working with instruments. Interest outside of music: working with food.